There are so many pretty hair accessories around these days that it is so easy to get carried away buying them. We have a fair few in our house, having two girls and they can just sit in a box or just lay around the house sometimes and not have a clue what we actually have. Me being into crafts and making things, I decided to make a display for them! 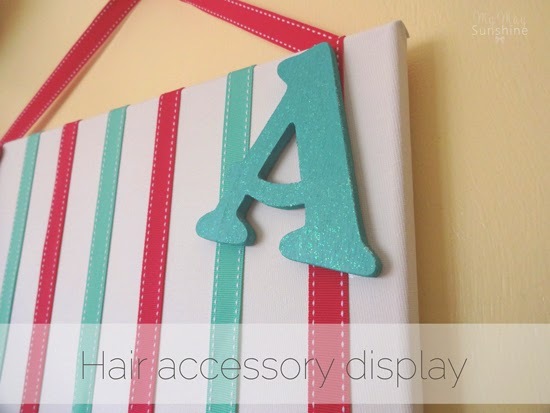 I wasn’t sure at first what kind of display I wanted to go with and looked at lots of ideas on Pinterest but in the end I decided to stick with a canvas frame. Using a canvas meant that I didn’t have to paint a frame and it wouldn’t be open in the centre but was still sturdy enough to hold the clips. 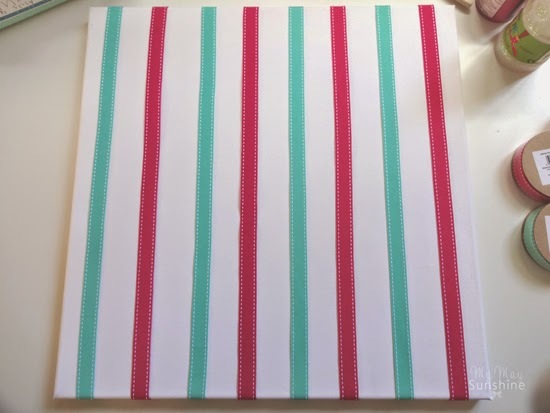 I bought some ribbon from Hobbycraft that was 16mm wide and went with a grosgrain ribbon as it is thicker than a silk ribbon. I just spaced them out alternatively on the canvas and then secured them with some push pins to the back of the canvas. The canvas is quite a big one as I wanted to use it for both the girls and chose to add their initials, one either side of the canvas. 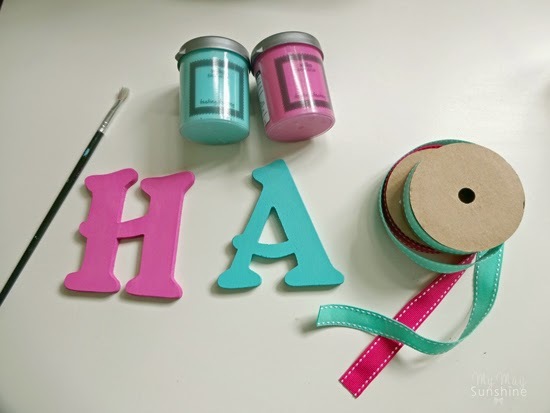 I bought some wooden letters while in Hobbycraft and painted them with normal matt emulsion, one pink and one mint green. 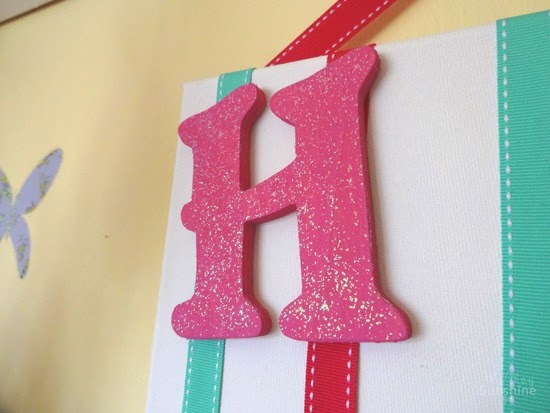 I wanted to add some sparkle to the letters so added some glitter paint to the letters. It worked really well. To secure the letters to the canvas I used some tacky glue. 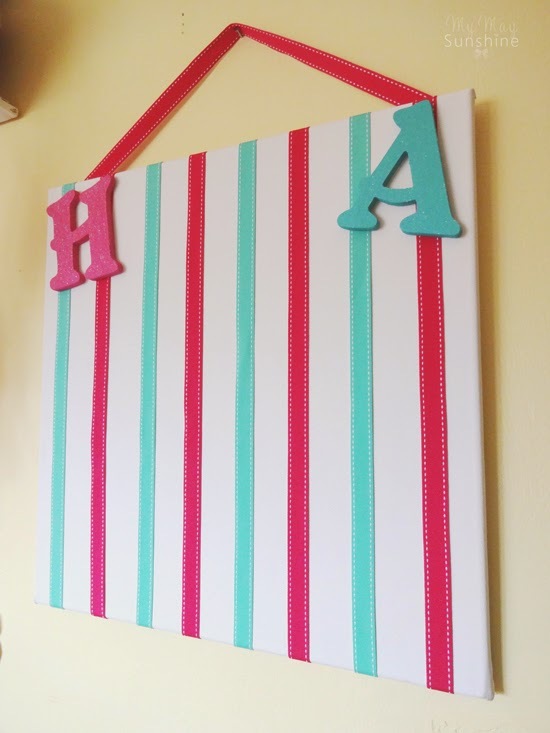 To hang the canvas up on the wall, I added some ribbon secured by more push pins. 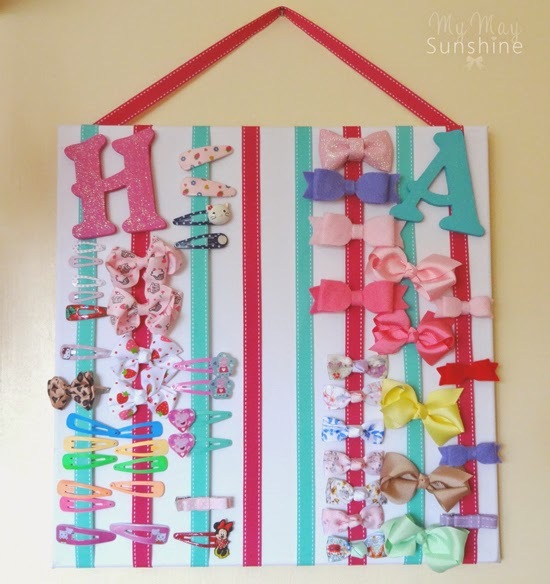 When I had rounded up most of the hair clips and bows, I added them to the canvas. Although they are on separates sides, Hollie has worn some of Amelia’s pretty bow clips too! 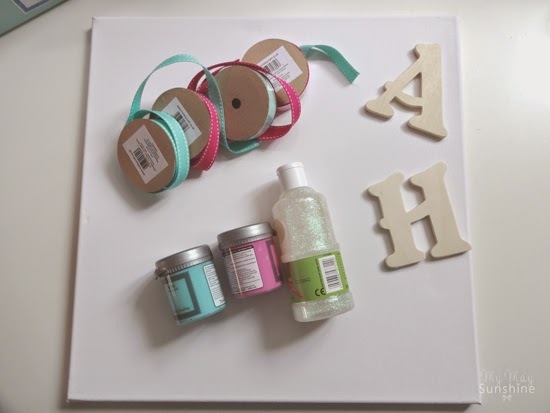 I really hope that this canvas helps with keeping the girls hair accessories more organised, well we can try! Do you think is a good idea to organise hair accessories? Would you try making one? Let me know what you think.